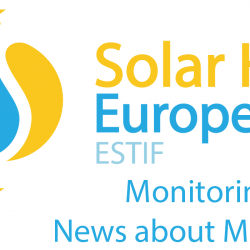 Sara started working in Solar Heat Europe/ESTIF in January 2019 as a Communications Assistant, in charge of helping shape and implement the organisation’s communication strategy for the sector. She has almost four years of public affairs and communications experience in Brussels, focusing on energy policy and sustainable development. She has previously worked at the Council of the European Union, the Energy Charter and WindEurope. For the past year and a half, Sara has been a freelance journalist following economic and regulatory developments of the European natural gas market. Sara speaks Spanish, English, and French fluently with some basics in Italian, and Russian.